Deciding to dissolve a marriage is a difficult and emotional time for all parties involved in a marriage. Entering a divorce decree can take months of negotiation and court proceedings in order to come to a mutual understanding. Family law courts are constantly flooded with overbooked dockets and overworked judges who simply do not have enough time to fit in every family’s proceeding as efficiently as they wish it could be heard. 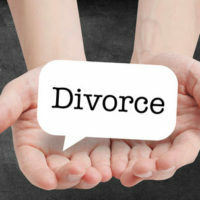 Fortunately, family court laws have now started to recognize alternative dispute resolutions as an alternate, but legally permissible method of settling a divorce proceeding. Arbitration is one of a few types of alternative dispute resolution proceedings that uses a neutral third party decision maker, also known as an arbitrator, to hear both sides of the case and make a legally binding decision based on the facts presented. Arbitration is a private proceeding that takes place outside of a courthouse, at the election of the couple. One major benefit that those who use arbitration note is that it takes place outside of court, on their terms, and is a private proceeding, thus no official court documents are available to the public thereafter. Additionally, arbitration can much more cost effective than traditional divorce proceedings. Not only is it a more timely process because you and your spouse select the neutral third party decision maker who works with your schedule, but it can reduce lawyer’s fees since a decision is made after the case is presented and the traditional rules of evidence that must be followed in court do not always apply in arbitration. Courts have recently approved the alternative dispute resolution measure as a way to give couples an alternative to traditional proceedings, but also to help clear the court docket list from those cases where the spouses know what they want and are looking for a decisionmaker to render a final legally binding decision. Alternative dispute resolution has been an effective avenue for those individuals who are seeking to maintain a relationship or have agreed on some topics for the decree but have yet to come to an understanding regarding others. However, arbitration is not for every couple and a traditional judicial setting may be more appropriate depending on the nature of the settlement. Arbitration is generally non-appealable, thus, when the final decision is rendered, that decision will take full effect as if a judge made the decision. Are You Considering Alternatives for Your Divorce Decree? Divorce proceedings can become highly charged and leave both parties feeling dissatisfied with the dissolution. Today, there are other options to settle your divorce that the lawyers at Lindamood & Robinson, P.C. can help you explore. Reach out to us in Houston today and learn how we can provide you with professional assistance.